The Team — City Kids Inc. The physical therapists at City Kids are all highly experienced with paediatric motor assessment and treatment, gait training, and orthotics. They are all NDT/Bobath trained and well versed in biomechanical assessment and intervention. Each therapist has a strong background in motor assessment and strengthening and integrate various therapeutic adjuncts into each session to encourage an optimal amount of function and skill. The physical therapists have experience with children with a variety of issues, including hypotonia, cerebral palsy, torticollis, Down Syndrome, sports injuries, plagiocephaly, and developmental delay. They use all the equipment in the gym to make learning motivating and fun! 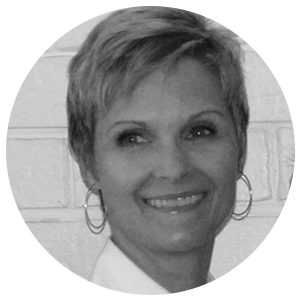 Kacy has over 30 years of experience and is the owner of City Kids, Inc. She is an NDTA Coordinator Instructor, NDT certified instructor and therapist, and a certified KinesioTape provider. She teaches many NDT based courses at City Kids, Inc. and also nationwide. Kacy is has broad knowledge about lower extremity biomechanics, orthotics, wraps, and serial casting. Jacob joined the City Kids team in July of 2018. A Chicago native, he attended undergraduate and graduate school at Quinnipiac University in Southeast Connecticut. Jacob will be pursuing his NDT certification in 2019 and has a focus in working with children with musculoskeletal impairments. Jacob has always loved working with children-coaching youth sports, being a camp counselor and leading an afterschool programs and is looking forward to continuing these relationships at City Kids. In his professional career he has worked in a variety of settings within pediatrics including working in the schools, Early Intervention, and a hospital-based outpatient setting. Andrea joined the City Kids family in 2016. She received her Bachelor’s degree from the University of Notre Dame and her Doctorate of Physical Therapy degree from the University of Southern California. Andrea is currently pursuing NDT certification at City Kids. She is interested in the treatment of the neurologically involved child, handling skills, and injury prevention in the young athlete. Her continuing education experiences includes: NDT Baby course, Pediatric Gait Analysis, and Postural Control Strategies in Pediatrics. The occupational therapists at City Kids have extensive experience in the areas of motor development and sensory integration, including motor apraxia,sensory dysfunction, bilateral motor coordination, dysgraphia, visual motor integration, and movement/motor disorders. In addition, all the therapists integrate current knowledge and clinical skills to assist a child achieve skills to his/her highest potential in all areas of daily living, including play, fine motor, self-help, and sensory. 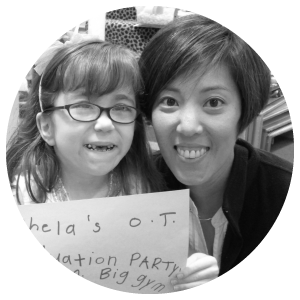 The OTs also utilize principles of NDT, Sensory Integration, DIR/Floortime, baby treatment, splinting, Therapeutic Listening, and play into each child's treatment. Functional skills and use of play are always a priority during OT at City Kids! Grace joined the City Kids team in 2007. Grace is NDT certified, SIPT certified, and is a certified KinesioTape provider. Grace is knowledgeable with assessment and treatment of sensory based disorders and has training in DIR and Social Thinking. She is trained in using NMES devices and has experience with casting upper extremities. Alicia joined the City Kids team in 2007. 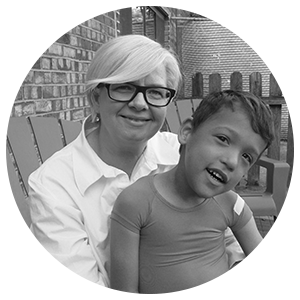 She has significant experience with sensory integration and motor assessment and treatment of children of all ages. Alicia is NDT certified and has taken many courses on treatment of children with sensory processing difficulties, including DIR and Therapeutic Listening. Alicia is also knowledgeable on upper extremity biomechanics, splinting, and casting. Olivia joined the City Kids family in 2015. She has a Bachelor’s degree in child psychology from DePaul University, and her Masters Degree from the University of Illinois at Chicago. Olivia co-leads the Simply Social Too group which teaches children self-regulation and social thinking. Her professional interests include sensory integration, the Zones of Regulation, and assistive technology. Joanna joined the City Kids family in 2017. She has extensive experience working in the Early Intervention program with the 0-3 population. Joanna has worked with children with autism, poor self-regulation skills, fine motor difficulties, and developmental delays. Her continuing education experience includes sensory integration, Handwriting Without Tears and DIR/Floortime. She is also interested in the treatment of the neurologically and visually involved child, handling skills, as well as NDT. Lucky joined the City Kids team in 2018. Lucky is a golden retriever bred to service children with socialization, language and relationships. He has been an engaging and supportive addition to our team. The speech therapists at City Kids, Inc. have a wide range of experience and expertise in all areas of speech and language development, including oral motorassessment and treatment, articulation/phonology, language disorders, swallowing and feeding, pragmatic/social language, andsensory integration. The therapists also utilize principles based in NDT for children with movement disorders. City Kids, Inc. sees children with a range of disorders and diagnoses including children with genetic syndromes, Autism Spectrum Disorders, Down Syndrome, cerebral palsy, specific language problems, speech disorders, and children with craniofacial anomalies. Erika joined the City Kids family in 2016. She received her Bachelors and Masters degree at Eastern Michigan University. 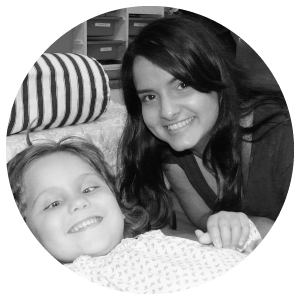 Erika has worked with children with autism, attention issues, learning issues, and oral motor problems, and has a special interest in feeding and social communication. Her continuing education experience includes various Social Thinking courses, Lori Overland's Sensorimotor Approach to Feeding, SOS Approach to Feeding, Introduction to NDT, LAMP Words for Life, Building Blocks to AAC, and Greenspan's DIR/Floortime. Lisa joined the City Kids family in 2015. She received her Bachelor’s degree from the University of Iowa and her Master’s degree from Truman State University. 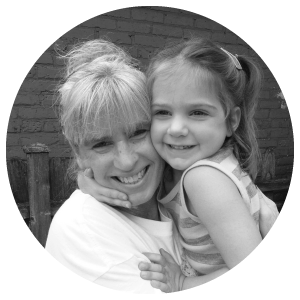 Lisa has experience working with a variety of disorders including childhood apraxia of speech, articulation and phonology, autism spectrum disorders, and receptive and expressive language disorders. Lisa leads a speech-language group for preschoolers (Little Learners). Her continuing education experiences include: It Takes Two to Talk Hanen Certification, DIR/Floortime, Social Thinking, the Kaufman Speech to Language Protocol, PROMPT, and Orton Gillingham reading program. Jeni joined the City Kids family in 2018. She received her bachelor’s degree from Indiana University and her master’s degree from Rush University. She has experience working with children with a variety of diagnoses, including autism spectrum disorder, receptive- expressive language delays/ disorders, articulation/ phonology disorders, hearing loss, and selective mutism. Jeni has a particular interest in working with individuals who use augmentative and alternative means of communication (AAC). Her continuing education experiences include: training in the Picture Exchange Communication System (PECS), training in using WordPower vocabulary on communication devices, and training using the Language Acquisition through Motor Planning (LAMP) vocabulary system. Jeni leads the social group, Purple Monkeys, which focuses on building foundational social/ pragmatic language skills in younger children. We are fortunate to have a wonderful childcare for our staff at City Kids. They take care of our chlldren, play with them, put them down for naps and run around on the playground.